Kim Dotcom is accused of enabling millions to enjoy films and other copyrighted content for next to nothing. He ran a site called “Megaupload” and calls himself a businessman, but U.S. authorities call him a copyright thief. Bob Simon reports. NYPD tries to stop The Broadway Bomb! The Broadway Bomb is a skater event involving thousands of longboard skaters who cruise down Broadway towards the Financial District in NYC. So this year the good people of the NYPD wasted their time trying to mess this up…Looks like they detained ONE person…wtf fellas…go fight crime not skateboarders! Cmon RiRi, you gotta draw the line somewhere! Rihanna’s Instagram page creates more chaos, but this time in the Middle East. The pop star posted several photos while on sacred grounds at Sheikh Zayed Grand Mosque before her ‘Diamonds World Tour,’ concert in Abu Dhabi. She posed on the white marble outside the holy grounds and Mosque officials say she violated moral codes. The pop star was asked to leave before entering the place of worship. 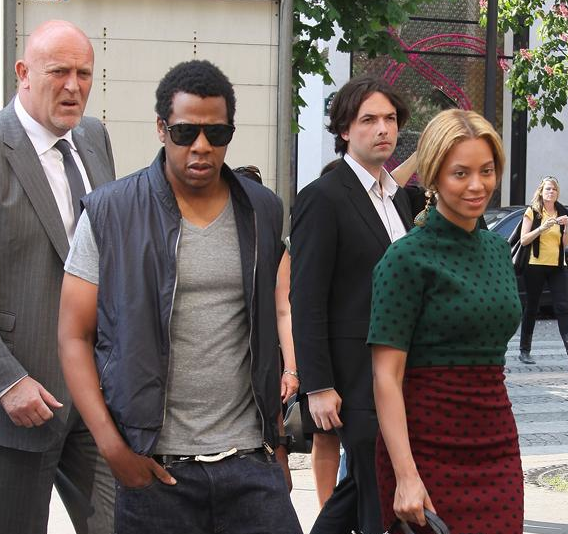 Jay Z and Beyoncé fired bodyguard Norman Oosterbroek, after freaky incidents, now dead after crazy break-in! “They really thought Norman was now a danger to Blue Ivy,” says the source. “From what I understand he was devastated, because a lot of people in the industry knew that he couldn’t be trusted and not to hire him.”. Now suffering from depression after losing the job, he was using drugs, says our source. He had been in and out of rehab for several years, according to the Miami Herald. Crazy!!! So now its Sept 2nd, and this dude goes crazy, breaks into his neighbors house, naked, the cops are called, the cops then tased him and he died on the scene, Miami-Dade Police say Oosterbroek swallowed an unknown white substance during the incident. 3 Women Who Were Kidnapped A Decade Ago Found Alive Inside Cleveland Home! Shouts to CHarles Ramsey…classic interview! continue reading for more News Reports and the 911 call! big brother is really watching now! French Montana’s Tour Bus Shot At In Philly! Olympic “Blade Runner” Oscar Pistorius Charged With Murder! Big Brothers a mother fucker! but hey, as long as your aren’t carrying illegal drugs or guns, you should be fine…and it will catch criminals!